Lutris definitely has become a big part of gaming on Linux and contributes great value to everyone who wants to play their favorite games on our favorite OS. 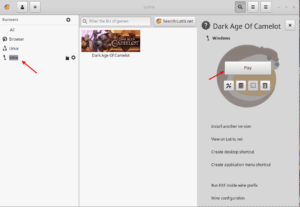 In this tutorial, I show you how to install Lutris on Linux Mint 19 and how to install a game. 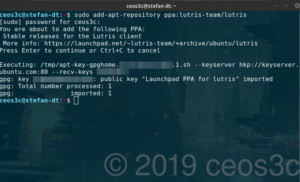 To install Lutris on Linux Mint 19, we first have to add the apt repository to our system. That is easily done by opening a console and entering the following command. Confirm with Enter. If you are worried about adding a third party repository, you don’t need to be. Lutris has a great reputation and is a legitimate project. 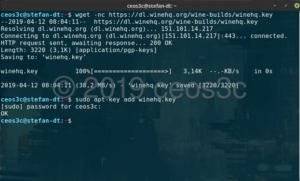 Next, we update the repository and install Lutris on Linux Mint 19. After this is done, we need to go ahead and install the correct drivers. In this tutorial, we use Nvidia drivers. In case you use an AMD graphics card, follow these instructions. Now before you run the install command, make sure your Graphics Card is supported by the latest drivers! Check it here. 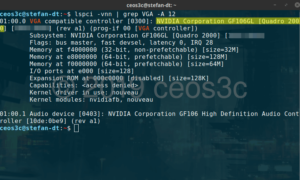 To find out which Graphics Card Model you have on Linux run the following command. Once you have that figured out, you can go ahead and install the latest drivers. You have to reboot your system for the changes to apply. You should also install Vulkan if you have a Vulkan capable GPU to ensure full support for all games. You find detailed instructions here. Just scroll down to Installing Vulkan. Wine is a prerequisite for Lutris, so we have to install it as well. This is done with a few steps. First, we need to add the Wine repository to our system, the steps here are slightly different. Now we are going to install Wine. Now everything should be setup. Press the Windows key or hit the Menu button and type Lutris, start it. 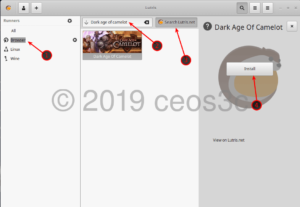 In this example, I am going to install the classic MMORPG Dark age of Camelot. Click on Install, then follow through the dialogues. Now Lutris works it’s scripting magic and installs whatever game you chose on your computer. Setting up Wine and everything for you, ready to hit the play button. 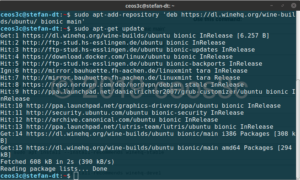 Most likely, Lutris / Wine will prompt you to install a couple of dependencies. Just install all of them. Once the game is installed, you find in Lutris either under Linux or Wine. From here, just choose the game and hit Play. And there you have it. Gaming on Linux is really becoming more and more accessible. I wait for the day to come where I can simply say goodbye to Windows forever. We still have a long road in front of us, but the progress that has been made in the past 2-3 years thanks to Steam, Lutris, Wine and a couple of other projects is truly amazing. Make sure to support the tools you like, because everyone in the Linux world is basically working for free. Donations are highly appreciated.